Where other people use the New Year to take stock, cricket finds itself halfway through a season. There’s no chance to gain the wisdom and perspective of distance from the middle of it, like the thrashing India just gave Australia at the MCG. To be fair, that should already have happened. 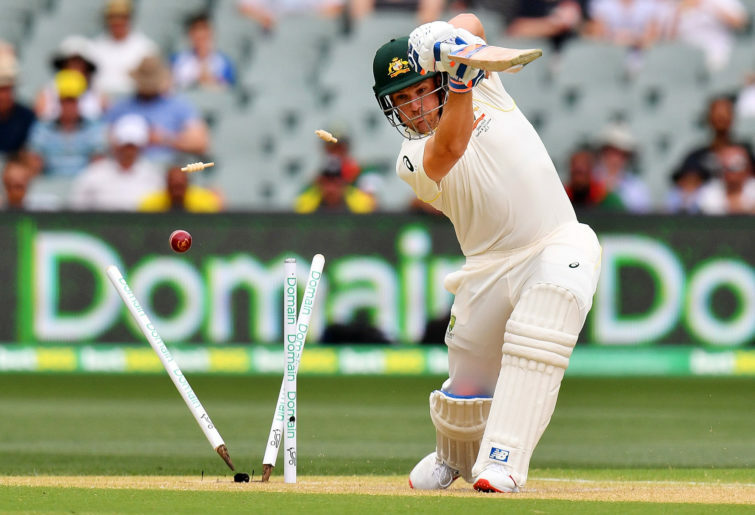 Australian cricket has had plenty of opportunity in 2018 for self-examination. Yet ending this torrid year we still have a team picked by fumbling guesses and half-hearted excuses, informed by prejudice and passing thought bubbles. The selection accidents by which Labuschagne first made the team were embarrassing enough. Playing some one-day games on an Australia A tour, he was retained for two first-class games after Matt Renshaw was injured. A fifty and a pair of ducks were somehow deemed enough to get Labuschagne into a Test squad to play Pakistan in the UAE. Then he made the starting XI after Renshaw was injured again. New coach Justin Langer had recently given a spiel about restoring pride in the baggy green by setting the most demanding possible standards to get one. This move made that a mockery. For context, this was a player with a first-class mark of 33. He had promise for the future, but not the standard for the present. 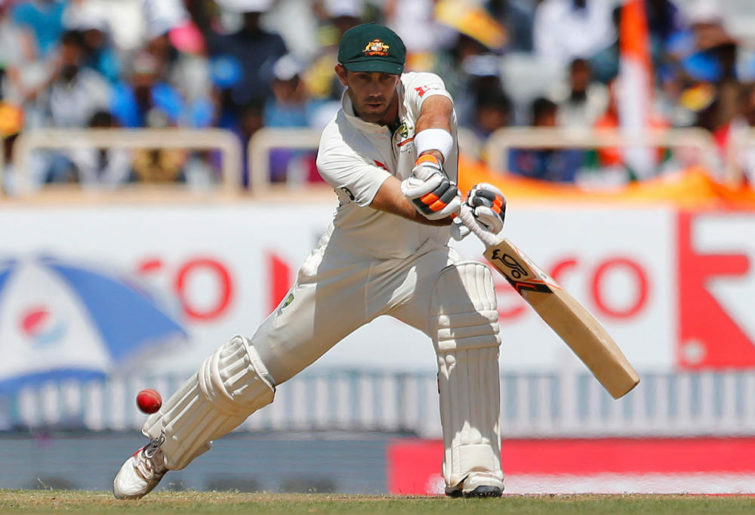 He played his two Tests and was dropped after a lacklustre showing. Two months later, he’s coming back. See, selectors want a spare bowler for Sydney. They think it might spin. And Labuschagne took a few wickets in the UAE rolling down leg-breaks. Serviceable, but a part-timer picking up players who’d already piled on 80 or 90. Now, off the back of a Shield season averaging 28 with the bat and 60 with the ball, he’ll be classed as an all-rounder and bat at six. Unless it’s a raging greentop, in which case the similarly bits-and-pieces Mitchell Marsh will remain. 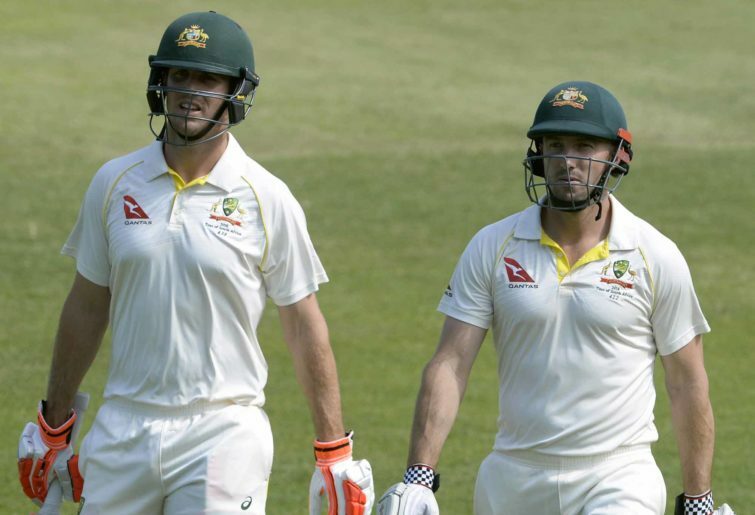 The Mitch Marsh experiment has failed, and the foolishness of promoting to vice-captain a player without a sure place in the side has been exposed. A Test batting average of 25 is barely ahead of Pat Cummins, and while he bowled well in Melbourne in his support role, it’s not enough to be in the top six. It’s hard to know what happened. For a run of five Tests since his Ashes comeback in late 2017, Marsh looked so good: Perth, Melbourne, Sydney, Durban, Port Elizabeth. He defended with total conviction and attacked with purity of purpose. Even late in 2018 he made big hundreds in the UAE warm-up match and the opening Sheffield Shield round. But somehow at the top level that resolute defence slipped away, and his Test returns since Port Elizabeth last March have been 5, 16, 4, 0, 12, 0, 13, 5, 9 and 10. The only way Marsh can credibly play for Australia again is to produce serious domestic results for a couple of years, not a couple of games. He’s been allowed leniency by selectors for four years and counting. The Aaron Finch gambit hasn’t worked either. It was fair to try: his white-ball form earlier in the year was imperious and there was a chance he could replicate it. Having him open in Tests worked in the UAE, despite the fact he’s a middle order player in domestic first-class cricket. But once he was formally made captain in the T20 and ODI formats in October, his form disappeared. At one stage he made six single-figure scores in a row. Come the Tests against India, he’s made three more in six innings. Against a quality seam attack moving the ball, Finch isn’t an opener. The analysts at CricViz isolated it: when the ball moves more than three quarters of one degree off the pitch, Finch averages 11.5 runs per dismissal. If that’s how things have gone in Australia, imagine facing Jimmy Anderson on a green wicket under cloudy skies in Birmingham halfway through 2019. Travis Head could and probably should be dropped were it not for the players around him in even worse nick. Head keeps making decent starts, but has been out four times running to inexplicable slogs. In the meantime, three batsmen in particular sit watching on. Back when the Cape Town suspensions knocked out half of Australia’s top six, the three reserve players flown in were Glenn Maxwell, Matt Renshaw and Joe Burns. All of them have Test hundreds. All of them have better first-class records than most of the current side. None of them are playing. Nine months ago, those three were considered to be next in. Nine months later, they are apparently not in Australia’s best 11 batsmen. Ahead of them – at least – are the suspended players, the Melbourne six, the discarded Peter Handscomb and the replacement Labuschagne. In a team that without hyperbole is Australia’s weakest since Kerry Packer broke cricket in the 1970s, none of these players can get a gig. It’s worth recapping that Maxwell was told not to play county cricket in 2018 so he could rest for the Australia A tour, then told he would miss that tour because he was a lock for the UAE Tests, then told he wasn’t in the Test squad because Labuschagne had made a fifty on the A tour. Maxwell couldn’t make a case for a recall in November because he missed most of the Sheffield Shield playing with the one-day team. It’s worth recapping that Renshaw dominated county cricket mid-year, then was ostensibly left out of the Dubai Test because he was short on match practice, but was kept in the squad where he had no chance of getting any match practice, and now has seen his domestic form suffer after being mucked around. The suggestion only grows more credible that there’s more at play in these decisions than cricket skills. If there’s nothing deliberate about these inexplicable sequences of behaviour from administrators, it can only be incompetence. The upcoming Sri Lanka Tests are bogey games. Worse than the prospect of losing is that winning could lock in players who aren’t suited. Times are tough for the Test team at the moment, but selection has to pull itself together before anything else can follow.